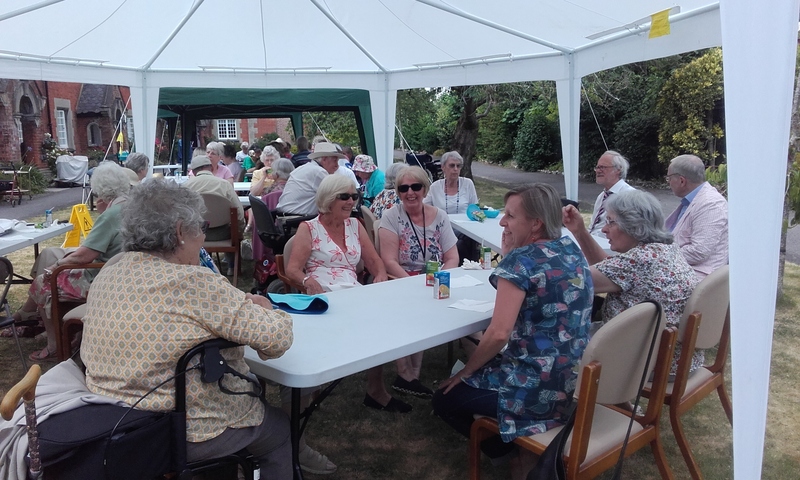 In early July, residents of our almshouses and Moorside Nursing Home congregated on the lawn of St John’s North to celebrate the return of Wimbledon to our screens. 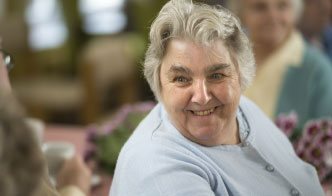 The event was organised by a resident of Christes Hospital, with the traditional Wimbledon classic of strawberries and cream being served in generous helpings! Even though it was slightly too hot for lawn games (as Britain at the time of this post is in the midst a heat wave! ), residents donned their best tennis whites and summery outfits to commemorate the day. Laughter, chatter and merriment filled the tents as people enjoyed the sunshine. The residents and staff of St John’s Winchester would like to give special thanks to Lee (Store Manager) of Marks and Spencer Winchester, who very kindly donated strawberries and cream. The day was a grand slam!